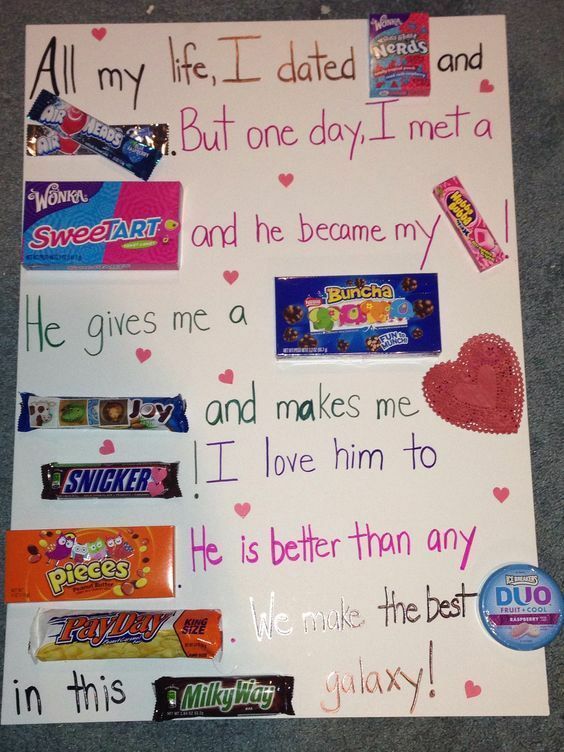 This post is all about the best DIY Valentine’s gift for boyfriend ideas! Whether you are looking for something funny, sweet, or thoughtful, these cute DIY Valentine’s Day gifts will make the perfect surprise for your boyfriend! 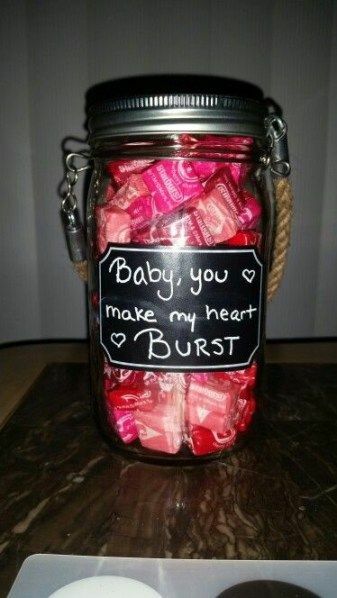 Another cute and simple idea if your boyfriend loves candy… Just get a mason jar and fill it with only the red and pink Starbursts! This ticket stub shadow box is such a cute gift idea to document all the activities you and your boyfriend do together. You can fill it with tickets for concerts, movies, sporting events, etc. 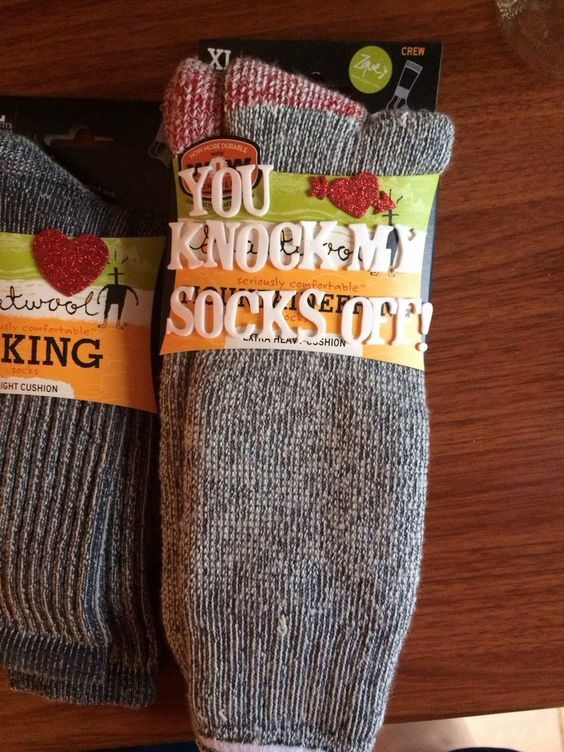 This is a really sweet and simple gift to give your boyfriend this Valentine’s Day! 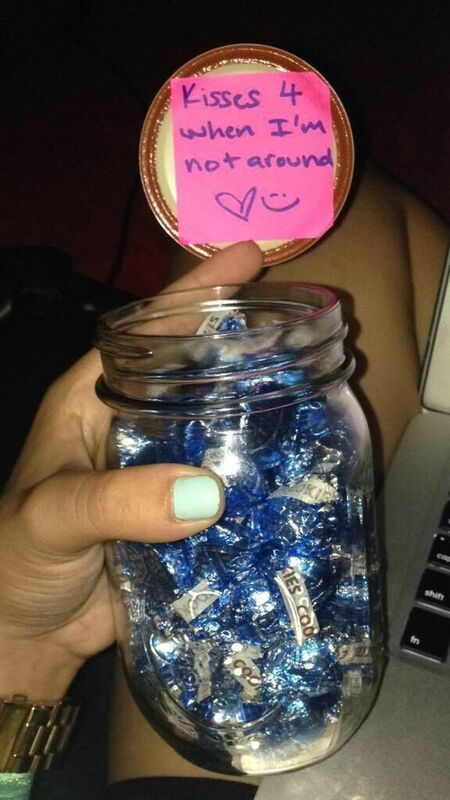 All you need is a mason jar to fill with Hershey’s Kisses! 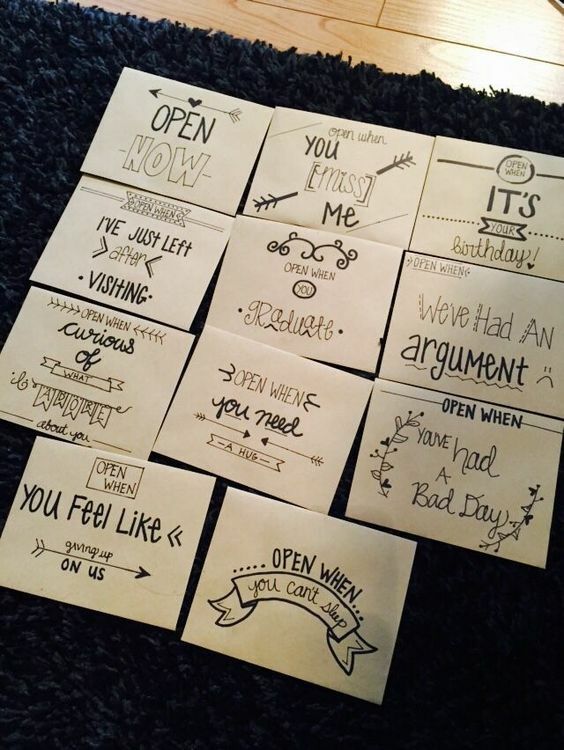 These “Open When” letters are such a thoughtful Valentine’s gift idea. You can write notes for your boyfriend with instructions to open at a certain time, such as when he misses you, when he can’t sleep, when he’s had a bad day, etc. 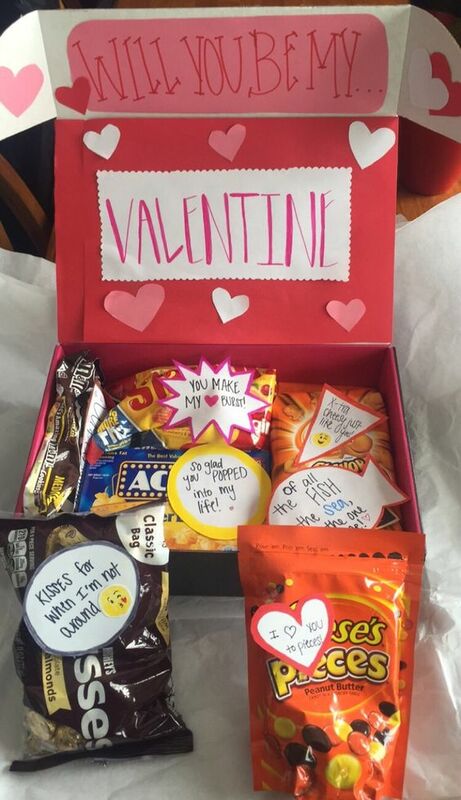 This Valentine’s snack box is a really easy and adorable gift for your boyfriend. You can fill it with his favorite snacks and include notes with puns like the ones above! Okay, these kinds of gifts always make me laugh because they’re just so fun and clever! 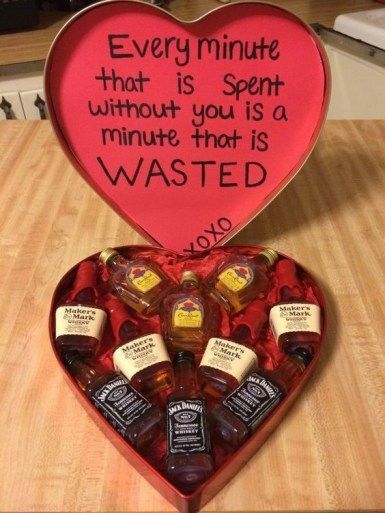 This is a great Valentine’s gift for boyfriend that’s super easy to put together. 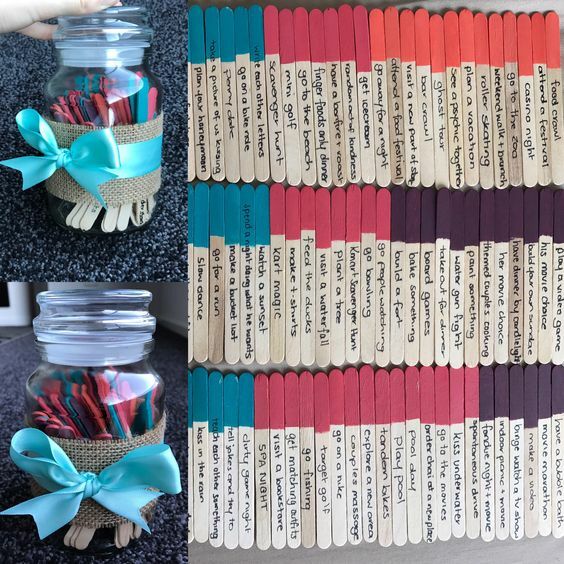 This date night jar is a really easy and fun Valentine’s gift idea. All you need is a mason jar and some popsicle sticks. (You can get rainbow-colored ones here.) Then color code the different date night ideas, like dates at home, adventurous dates, dates under $50, etc. I hope you enjoy these DIY Valentine’s gift for boyfriend ideas!